How Important is My Franchise Brand? Extremely! Let us start with the definition of brand. You may think it is your logo, signage and uniforms and yes this is all part of your brand identification. But it is much more than just visual. It’s also important to know that branding does not happen overnight. You can’t buy it. Branding is what your customers are telling their friends about your business when you aren’t looking. 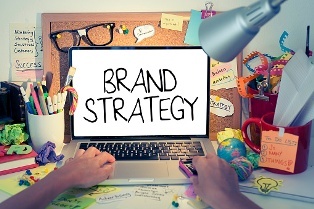 For your franchise business, brand is a valuable asset because it is what attracts and maintains your customer base. Building a brand takes consistency and effort. It also takes time. And, usually, the older the brand is, the stronger it has become because it has lasted though many internal and external changes and challenges. Remember that one of the reasons you purchased your franchise is because of the brand strength. It is important to work hand in hand with your franchisor marketing department to make certain that you are in compliance and actually an extension of the franchisor brand. After all, a big part of what you purchased is the brand and its strength. If you want to create your own brand, a franchise is not the right choice. Get to know everyone in your franchisor marketing department on a first name basis. They will be invaluable in coaching you on how to manage your brand carefully in your market and leverage its strength. Even though you have purchased an identifiable brand in order to build your own local band do not forget that you must be consistent. You should not change colors, design elements or messaging. Work with your franchisor and use your own marketing sense but always stay on strategy. It takes a while to take a national brand and bring it to your market successfully. So be patient and you’ll find the power of the brand that you invested in will be a big part of achieving success.